Inkpot award winning creator Jamal Igle (Supergirl, Firestorm, KISS from IDW) recently launched a crowdfunding campaign on Kickstarter.com. The Campaign has reached thousands of comicImage fans and has been covered on Digitalspy.com, Comicsbeat.Com, Comicsreporter.com and Newsarama.com . Now the campaign enters it’s final week, with 63% of it’s funding already pledged. Molly Danger is the story of the world’s most powerful 10-year-old girl. 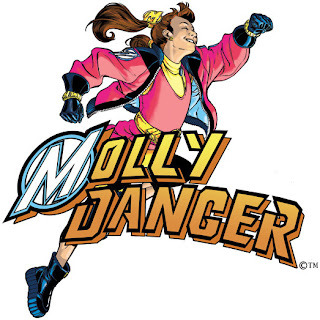 A seemingly immortal super strong hero, Molly has protected the city of Coopersville for the last 20 years. Kept in constant isolation and watched closely by D.A.R.T. (The Danger Action Response Team) an organization created to assist in her heroic deeds and monitor her movements, Molly battles the Supermechs. A team of cybernetically enhanced beings with unusual powers, Molly always defeats them and yet they always managed to mysteriously escape. Molly longs for a real life, with a real family, something she’s been told she can never have. Her life changes when D.A.R.T. recruits a new pilot, Austin Briggs. Briggs has his own motivations for joining the team, newly remarried; Austin is having trouble forming a relationship with his new stepson, Brian. Austin wants to use his connections to impress Brian, an avid Molly Danger fan. However things get turned on its ear when Molly and Brian form a friendship of their own. “As the father of a young girl, I’ve found myself disheartened that there isn’t a female superhero character for my daughter to read that hasn’t been turned into a killer, or overtly sexualized. A character that isn’t joined at the hip to a male hero or subservient to one.” Igle said. 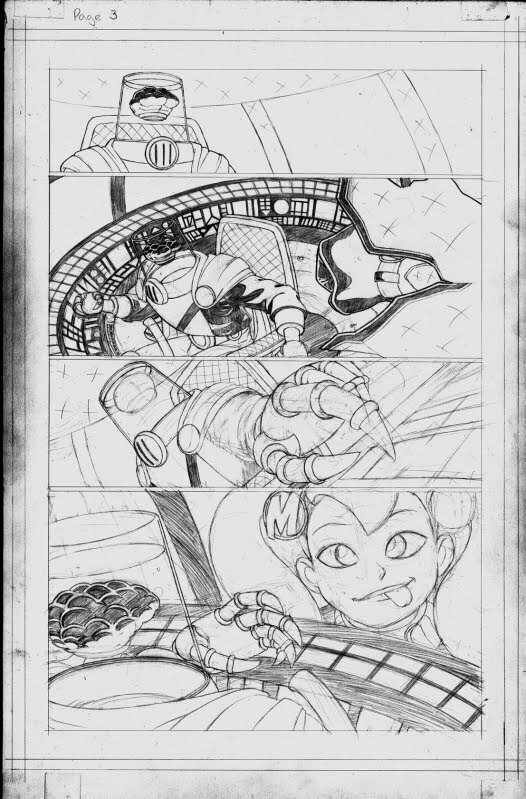 Igle will write and pencil the series with inker Juan Castro (G.I.Joe: Snake Eyes for IDW, Incorruptible for Boom Studios, Elders of the Rune Stone) and Colorist Michael Watkins (Sonic the Hedgehog, Transformers). 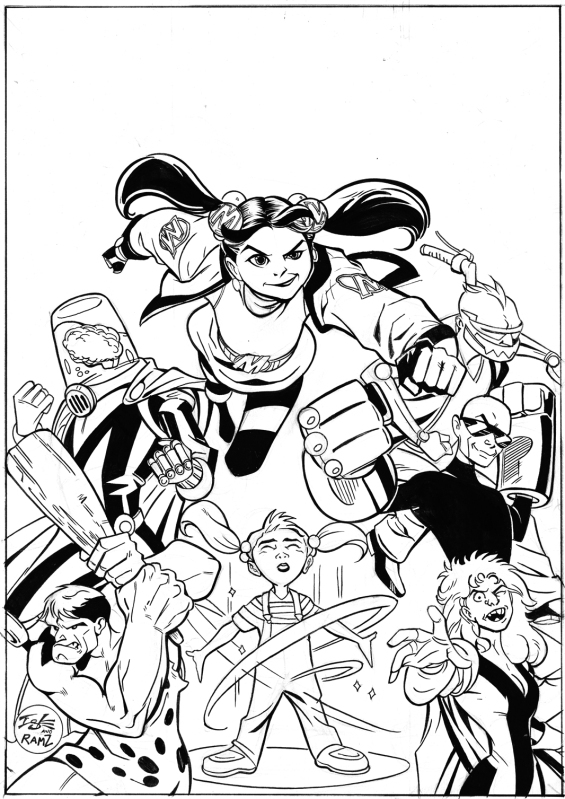 Molly Danger will be a four book,48 page hardcover album series beginning with Book One: Mighty, set for a Fall 2013 release. "It's a format that I love and feel gives us the best possible canvas to tell this story"
Igle has also teamed up with Action Lab Entertainment, publishers of the Will Eisner award nominated series Princeless, to handle the publishing and distribution of the series. The 30 day campaign began on August 1st, 2012, incentives include a limited edition version of Book one for $22USD including shipping or a DRM free PDF for $8USD, posters, prints, a behind the scenes sketchbook and original artwork from the finished book. The Campaign ends on August 31st 2012 and will only be funded if it reaches it’s $45,000 Goal.